Banner advertising is known to be one of the most popular forms of advertising online. it’s no news that most it is also the most effective way of adverting online among many other methods of advertising but how does it start and how can online advertisers and publishers benefit most from it?. In this article, we are going to explain what is banner advertising, how it started and how effective is banner advertising. Historically, the first banner ad was created on October 27 in 1994 on Wired Magazine (then it was called hotwired.com). the message on the simple but innovative banner ad states “Have you ever clicked your mouse right here? You will”. the aim was to send traffic to the AT&T website. Now that you know how it all started, let’s jump into it. 1. What is Banner Advertising? The primary aim of banner advertising which is also known as display advertising is to direct potential customers to a website or a specific landing page. Giving it visually and attractiveness, banner ads are usually used for promoting brands across different advertising platform by simply sending traffic from the host website to the advertiser’s websites or landing page. Today anyone can start a banner advertising campaign through Google Adwords or Ad networks also called display network. 2. what is Banner Ad? Banner Ad is a web banner crafted by the advertiser and displayed on a website or a webpage which consists of an image (.jpg, .png, .gif) or of a multimedia object (usually created using Flash or HTML5). Depending on the technology used in creating banner ads, it can be a static banner ad or animated banner ad. The static banner ad can be a simple image or a visual that is acting just like an ad but technically it takes you to the advertiser’s website or landing page of the advertisement once you click on it. An animated banner ad (or web banner) is a type of digital advertising that is delivered by an ad server. The aim is primarily similar to static banner ad: to get noticed on the website and make the user click on it. Also, you can call the animated ad a programmatically generated display or sequential visual that creates the illusion that the objects in the image are moving. To learn more about banner ads, watch the video below. 3. 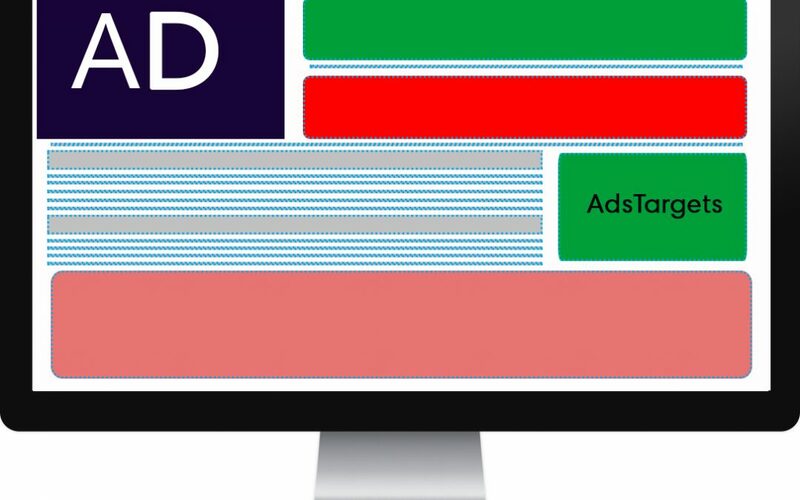 How do Banner Ads work? The logic behind banner ads is simply to direct traffic to the advertiser’s webpage, website or landing page which result to more sales, brand awareness, conversions, lead generation etc. the most common function of banner ads is they must be clickable and send the visitor to the desired destination. This brings us to the next question about banner ads which “why should I use banner Advertising?” the following lines give a brief explanation of why you should use banner advertising. 1. Brand awareness – it helps to give your brand the online and off-line exposure that helps grow your brand awareness so people can easily recognize your products and service which lead to more sales and possibly more profit. Big brands such as Amazon, IBM, Apple, Target and Nike among so many others used banner ads to grow their business. 2. Lead generator – it gives you the opportunity to build your customer list. As a stater, a banner ad can help you to get more users to signup and try your products or services and at the same time maintain a massive list of emails you can reach anytime when you have new products or services listed on your website. 3. Retarget your audience – by using tracking tools, you will be able to re-target visitors who came to your website and did not signup but show some interest. 4. Is banner Advertising effective? One great advantage of online advertising generally over the traditional ones is that it is to measure its effectiveness in comparison to the money spent on it. Regarding banner ads, the main effectiveness indicator for measuring banner ads campaign is the click-through rate. The click-through rate (CTR) is calculated simply by dividing the total number of users who clicked on the banner by the number of times the ad was shown to them (impressions). For example, a marketer can say a particular ad unit has a click-through rate of 4% or 5%. That means that out of 100 impressions delivered, the banner was clicked on four or five times respectively. Therefore, the higher the CTR is, the more effective we can say the advertisement is. I am sure you come across various kinds of banner sizes, which are designed to fit specific spaces on the publisher’s web pages. this helps reduces the amount of work advertisers face when creating a lot of banner ads. When you browse across the Internet it’s likely for you to encounter all kinds of banners in all kinds of sizes. Lucky for us, there are some standards too. And their role is to reduce the amount of work for agencies when faced with the problem of creating many banners and similar sizes for different publishers. And here is where the IAB standards come into play. But we’ll talk more about ad standards in a future post. Creating banners is no magic and does not require special skills. However, you need a bit of fast learning ability to watch a couple of videos on YouTube and you are good to go. if you choose to use other automated resources online still fine, you will be able to use hundreds of free Canva banner templates Or still you can use the premium banner template on bannersnack. 1. Who is your main target and what do you want from them? Before you design a banner ad you need to know who is your core audience and what you want from them. Maybe you want them to click on your website, or to buy your limited sale product or to try your service for free. Think about that! 2. What is your value proposition? This will help you write the text of your banner and also choose a good CTA button text. 3. Choose a Standard web banner ad size – Because the publishers are usually using the standard banner ad sizes on their websites. So, if you pick another size you limit the reach of your banner ad campaigns. 4. Use readable fonts – You want the user to understand what you want to offer and what he can get if he will click your banner ad. 5. Use high-quality photos – A very low-quality photos and images used in a banner ad can create mistrust between the brand and the user. 54% of users don’t click banner ads because they don’t trust them. 6. Use your brand colors – If you want to create professional banner ads and you want people to recognize your brand on the internet I recommend you to stay close to your brand color. 7. Don’t overcrowd your banner ad – The simpler the banner ad is the easier you can communicate the right message to your audience. 8. Don’t forget to use a branding element (logo, company name or website) – It doesn’t matter how big you are in your industry, you need to use one of your branding elements to show the user that your company is behind that banner ad. 7. How do I advertise my banner? Advertising your created banners is not difficult at all, there are a lot of platforms how there including Blogs that are relevant to your niche and also have a fair amount of traffic. the most favorable banner advertising platform these days are Ad network such as AdsTargets, Google Adwords, Yahoo and Bing Ads, BuyAds among many others. You can even use the link below to start banner adverting for a very cheap rate. 8. How to start effective banner advertising? advertising generally require some principles and knowledge for it to be effective advertising champagne, whether you are advertising using Facebook Ads, Google Adwords, AdsTargets, You need to have a strategy on what you want to achieve with your Ad campaign, the great thing about banner ad campaign is the visual presentation of banner ads as it has the ability to use images and videos and can also allow the use of buttons, animations, colours and many more depending on the used technology. 1. What do you want to achieve from your campaign – think strategically about the product or service you are advertising and decide what you want your audience to know about it.hat’s the specific idea you can build your campaign on. 2. Determine your budget – Here you decide on how much you are willing to invest in your advertising campaign to get you the return on investment. You may decide to spend $100 a day or $1000 a month to reach your specific targets audience. since money is valuable, you need to scale your investment in advertising to get the best out of your campaigns. 3. Who is your audience – Understanding who your target audience is will help you create a better banner ad campaign? Knowing your target audience need will help you design banners that will communicate the message in the best possible way to attract them. you may decide to target your audience based on their location, age, gender and their interest depending on the products or services you are selling. Banner adverting has earned created over the years for playing a strategic role in building most of the biggest brands we know today, for example, e-commerce giants like Amazon were one of the biggest spenders in the early days of Google advertising,Wall Mart, Airbnb, Time Magazine and many others are a living testimony on how effective banner Ads could be. Banner ads have proven to be one of the most effective forms of advertising since its invention. we hope you have learned a lot from this article.